To book, fill in the form below & one of our car hire consultants will provide you with the best deal! 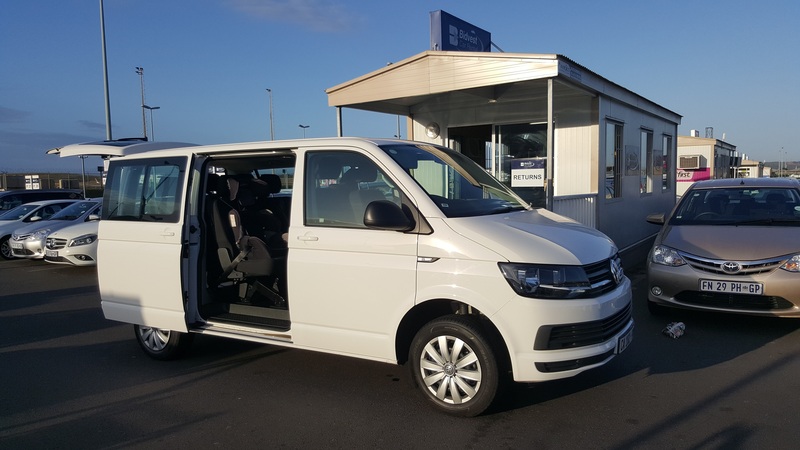 Bidvest Car Rental operates predominantly in South Africa, and now also offers International Car Rentals via Sunny Cars (based in Germany). They manage a network of 120 locations throughout Southern Africa, and also a few in Namibia and Botswana, with a fleet of 13 500 economy, luxury, speciality and commercial vehicles. 24 Nov 2017. Bidvest Car Hire offers a "Blue Friday" special, with vehicle prices running from R155 per day, up unti midnight. 5 Nov 2017. Bidvest Car Rental has teamed up with ASG, who are running the 98km Tshwane Classic bicycle race (there are also shorter versions). Bidvest will provide 15 vehicles to either act as lead vehicles or help with logistics. 23 Jan 2017. Bidvest launches "Snappdrive", an app which allows clients to find their car with their phone's GPS, unlock their vehicle and start their car without a physical key. 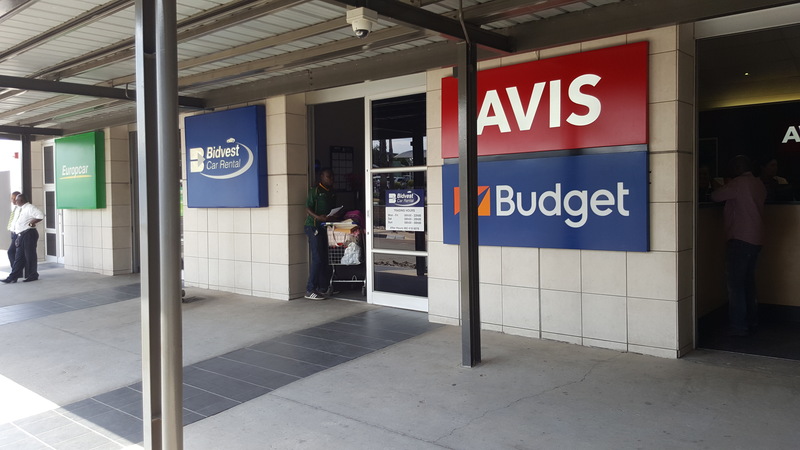 For the past 10 years, Bidvest has managed Budget Car Hire successfully. But at the end of 2014, officially effective on the 1st of March 2015, Bidvest decided not to renew the agreement, and to continue to function independently under a Proudly South African brand, Bidvest Car Rental. The existing management and team remain as they were. Since 2011, Bidvest has been a proud supporter of the Pink Drive in their fight to raise awareness of Breast Cancer and the need for early detection. Bidvest Car Rental sponsor two Toyota Avanzas and a Quantum full time to the Team at Pink Drive as they travel all over the country promoting awareness. Bidvest feels that education for all is extremely important , and therefore the places great importance on supporting this NGO to spread the word, which allows underprivileged communities the opportunity to learn about this disease, how to do self breast examinations and receive physical examinations. The branch is open from 06h00 to 22h00 from Mondays to Fridays, 08h00 to 20h00 on Saturdays, and 08h00 to 00h00 on Sundays. 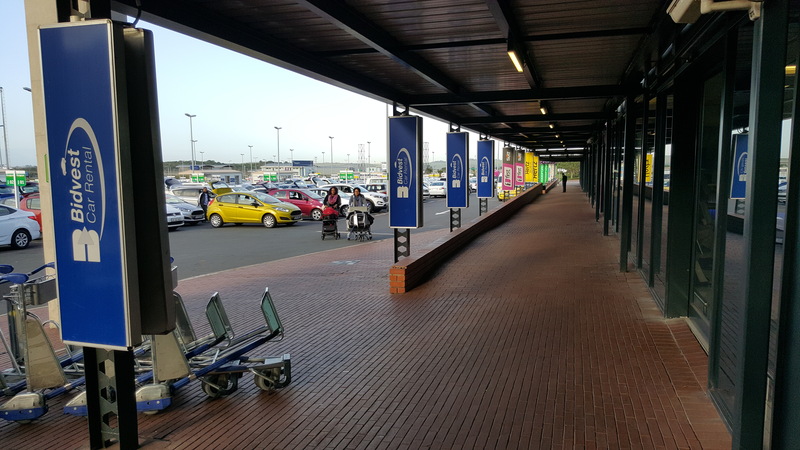 To find Bidvest Car Rental at Lanseria Airport turn right as you exit the security area, and leave the building at its northern end. As you exit the building, you will see Bidvest Car Rental sandwiched in between Europcar and Avis/Budget. 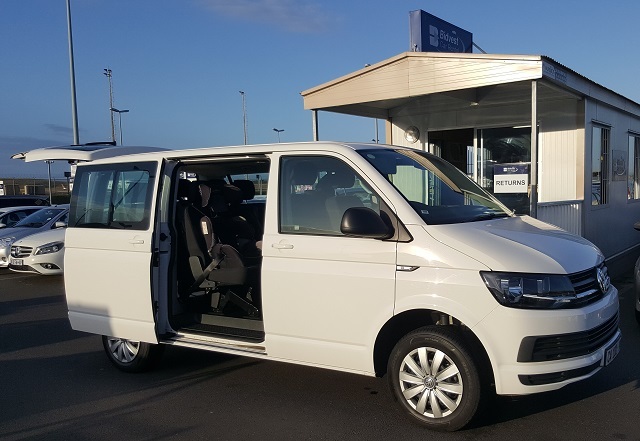 Bidvest Car Hire's minibus of choice is a VW Kombi, short wheel base. If you need it in order to cart a horde of children about (like us - 4), then you'll be pleased to know that they also rent out kiddies seats (from infant upwards). Bidvest offers a chauffeur service for those who would like a stress-free trip, or to skip the hassle of parking. Drivers are available 24 hours a day, 7 days a week anywhere in South Africa. The Coach Charter offers a luxury fleet of coaches suitable for any event – a conference, function, concert or school outing. Coach drivers are licensed and qualified via a rigorous recruitment process, allowing for only the best to be handpicked for the job. Daily pre and post trip examinations are done on the coaches, as well as full safety inspections every 5000km, ensuring that their vehicles are safe and up to standard at all times. Corporate customers can open a temporary 30 day account with Bidvest, which allows you to book all products on the same account, making booking and rental easier. They also tailor their rates to suit corporate clients, depending on the requirements of that client. Flythru is a product offered to corporate customers; this product pre-loads your details on their system so that you can head straight for the Flythru counter at the airport, produce your voucher and driver’s license, and the keys are immediately given to you without any hassle of signing documents. This speeds up the rental process dramatically. GPS Rentals are available at a daily rate, including a liability fee in case of loss or damage. GPS rentals can only be done in conjunction with a car rental, and a 48 hour lead time is compulsory in outlying areas. Credit card authorisation may be required depending on the length of your rental. Baby/Booster Seats are available, so you can avoid the hassle of carrying your own with you on the aeroplane journey. These need to be reserved at the time of your car reservation to ensure it is ready with your vehicle at the time of collection. Why is there an authorisation deposit on credit card payments? An authorisation deposit will be held on a renter’s credit card for the duration of the rental as surety. Should the rental be extended, or there is an incident, further funds will be held to ensure the entire rental amount is covered. Due to high risks of renting vehicles over weekends, an additional authorisation deposit is held to ensure there are sufficient funds available should an incident occur with the vehicle. A one way fee is charged when a renter collects the vehicle from one location and returns it to a different Bidvest Car Rental location in excess of 50km away. This fee will be stated at the time of your reservation/quote. The fee covers the cost of relocating the vehicle back to the original location. What is the re-fuelling policy? Fuel is charged from the branch where the vehicle is delivered from and is for the renter’s own account. Each Bidvest vehicle is rented with a full tank of fuel and the renter must pay for refuelling when returned. Each vehicle is refuelled by Bidvest Car Rental on return at the standard government legislation fuel tariff, regardless of whether the fuel gage indicates that the tank is full, as vehicles that are refuelled at independent stations are not guaranteed to be filled to capacity. This fee will be charged to cover the cost of redirecting the fine to the client. What is an overdue rental administration fee? If a vehicle is not returned on the agreed-upon date without prior arrangement to extend the rental, the vehicle will be collected by Bidvest Car Rental and an Overdue Rental Administration Fee will be levied. Why is there an Assessor’s Fee when the damage is over a certain amount? All damages that are sustained over a certain amount are evaluated by an independent assessor. This does cost extra, but provides confirmation to the client/insurer that the damage cost is lawful and consistent with acceptable industry standards, and not overstated. This fee is for the extra risk and administration fees that come with more than one driver. The fee is extra per driver per rental. Members of the South African Vehicle Rental and Leasing Association (SAVRALA) agreed to impose a 1% tourism levy; this is put towards promoting tourism in South Africa under the sponsorship of SATOUR and SATBC. What is an Airport surcharge? This is an additional cost applicable to rentals at all airports. As well as covering the rental of an in-terminal desk, it covers use of shuttle buses etc. The surcharge was imposed by the Airports Company (ACSA) Ltd and private airport companies. The current charge is 11% on the time and kilometre rate. Rates are calculated on a 24-hour period from the time of rental until the return of the vehicle. A 59 minute grace period is applied when the vehicle is returned.